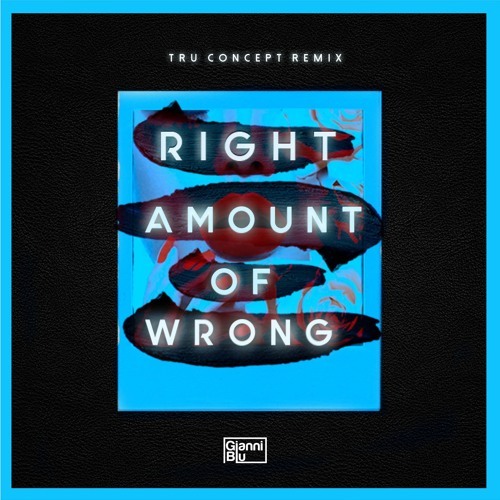 Following the release of his first 2018 chill house single, Tell Me What It Feels Like, Gianni Blu is continuing his momentum with the TRU Concept remix of his energetic hit, Right Amount Of Wrong. I am loving this remix guys! TRU Concept’s rework ups the ante by turning it into a head-nodding future house club anthem. The introductory piano melody climaxes into a collision of a soulful basslines and pulsating future house kickdrums. It serves as a perfect example of why TRU Concept are ones to watch in 2018. Stream it below! Having established themselves as one of the most promising emerging dance acts the UK has to offer, TRU Concept know how to produce a good remix. Their originals and remixes have caught the attention of esteemed tastemakers such as BBC and SiriusXM Electro. Their unique future house production style has landed them a series of releases on Universal, Armada, WMG, and Sony. With 686,000 monthly listeners and counting, the Birmingham based duo have shown no signs of slowing down.